La Reserva del Madroñal, or simply El Madroñal, is one of the Costa del Sol's best-kept secrets. Located on the Ronda Road in the district of Benahavís and perched 400 metres above sea level with commanding views of the coast below, El Madroñal lies on a vast plot of pine and cork forest adjacent to the ultra-exclusive La Zagaleta estate. 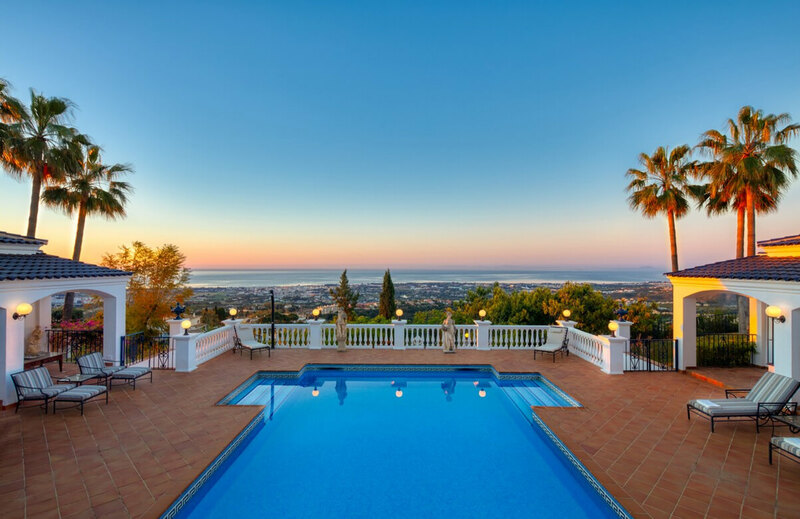 Living in this exclusive location you will be able to make the most of the wonderful Costa del Sol weather, and with only a short drive, the many miles of beaches, many of which have earned the prestigious blue-flag! We are pleased to present for you a selection of villas for sale in El Madroñal. All of the villas listed here are of the highest quality. Due to the exclusive nature of this development property for sale in El Madroñal does not take long to sell! Viewing is an absolute must and highly recommended. As soon as you see the beautiful location, the high quality finishes and the tropical, landscaped gardens you will know you have found your new home in the sun. Whether you have a property in El Madroñal that you would like us to sell for you, or if you are looking to purchase a property there, or for any other real-estate enquiries, fill in the form below and one of our experienced and knowledgeable team will get back to you as soon as possible. Despite it's peaceful, private setting, El Madroñal is not far from the the coast and major towns.